Overview: The intimate cobblestone streets and timeless brick rowhouses make Beacon Hill one of the city's most recognizable neighborhoods. This classic Boston neighborhood is the home of the Massachusetts State House and Suffolk University. Location: Beacon Hill is located next to the Boston Common and Back Bay and along the Charles River. It is very close to the Financial District, the North End, and the West End, as well as the Longfellow Bridge which connects Boston to Cambridge. 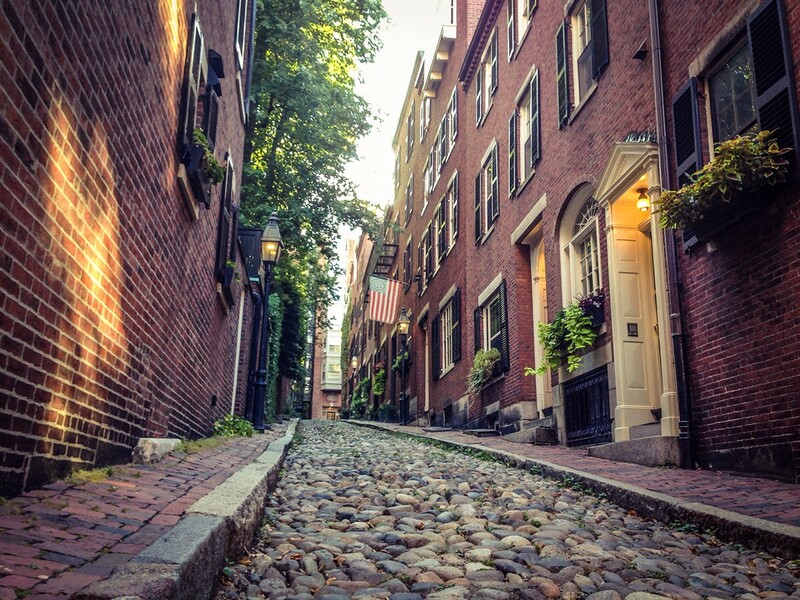 Culture: As one of the city's oldest neighborhoods, Beacon Hill epitomizes Boston living. It is conveniently located very close to cultural centers like the Boston Common, TD Garden, and Faneuil Hall Marketplace. Notable Places: Suffolk University, Massachusetts State House, Mass. General Hospital, the Charles River Esplanade, the Boston Common. Browse all luxury properties available in Boston's Beacon Hill neighborhood. If you see a listing you like, be sure to register so that you may save the property and receive updates from us if a new property enters the market that you may also enjoy. You can also search by using our advanced search tool to browse all Boston area real estate listings. Wow, come take a look at this studio on Beacon Hill in a full-service concierge building. All utilities and wifi are included. Studio is available for a Sept 1st move in. A short walk to the Financial District and North End, and a 2 minute walk to Park Street Station makes it possible to be anywhere in the city in 20 minutes. Can't forget the common roof deck with an unbelievable view of the State House, Boston Common, and beyond. There is a $100 move in fee paid directly to management. I have a question about the property at 21 Beacon Street Boston MA 02114 (#72470061). I would like to schedule a visit for the property at 21 Beacon Street Boston MA 02114 (#72470061). I have a question about the property at 37 Garden Street Boston MA 02114 (#72471086). I would like to schedule a visit for the property at 37 Garden Street Boston MA 02114 (#72471086). Amazing Beacon Hill Value! Large one bedroom available now including heat/hot water. Large bedroom and nicely sized living room. Dishwasher/disposal and on site laundry. Central Air. First, Security, one month broker fee. Incredible location convenient to blue line, green line, red line. Walk to Whole Foods, Boston Common and easy commute to all of downtown Boston. Sorry no pets and no undergrads. I have a question about the property at 21 Bowdoin Boston MA 02114 (#72456454). I would like to schedule a visit for the property at 21 Bowdoin Boston MA 02114 (#72456454). A wonderful opportunity to live in an A+ location minutes from all that Beacon Hill has to offer. A floor-through unit with high ceilings and good sun light. The East-facing open living, dining, and kitchen areas overlook a hidden Beacon Hill garden and the front-facing bedroom gets afternoon sun from a West exposure. There is hardwood flooring throughout, great closet space, and a common roof deck. Convenient location to Charles Street/MGH MBTA stop, MGH, and all the conveniences of Charles and Cambridge Street. No students. Available for a July 1 move in date. Living area disclosure: Bedroom is separated from main living area by hallway with bathroom but does not have a door (see floor plan). I have a question about the property at 91 W Cedar Street Boston MA 02114 (#72474316). I would like to schedule a visit for the property at 91 W Cedar Street Boston MA 02114 (#72474316). FULLY FURNISHED!! Fantastic Location: West Cedar Street @ Phillips Street - Close to Charles Street Shops/Restaurants, Whole Foods, CVS, and Red Line T Stop. Short commute to Financial District, Boston Common, MGH, Suffolk University & more. Renovated, Fully Furnished, All Inclusive 1BD in Charming Beacon Hill Brownstone with access to Common Laundry and Roof Deck with Stunning City Views. This Contemporary 1BD/1BA Features Hardwood Floors, a Modern Kitchen with all of the Kitchen Supplies You Need to Cook a Delicious Meal (or if you don't feel like cooking go out to one of the nearby Gourmet Restaurants), Cozy Living Room with Lots of Natural Sunlight, Flat Screen TV with Cable Provided, Updated Bathroom and a Comfortable Bedroom with Queen Bed. ALL FURNISHINGS, LINENS, HEAT, HOT WATER, ELECTRICITY, BASIC CABLE & INTERNET INCLUDED IN RENT. A/C window unit provided. NO PETS. 6 month lease or more required. I have a question about the property at 57 W. Cedar Street Boston MA 02114 (#72472269). I would like to schedule a visit for the property at 57 W. Cedar Street Boston MA 02114 (#72472269). I have a question about the property at 41 Grove Street Boston MA 02114 (#72471840). I would like to schedule a visit for the property at 41 Grove Street Boston MA 02114 (#72471840). I have a question about the property at 50 Phillips Boston MA 02114 (#72475597). I would like to schedule a visit for the property at 50 Phillips Boston MA 02114 (#72475597). I have a question about the property at 144 Bowdoin Street Boston MA 02108 (#72473497). I would like to schedule a visit for the property at 144 Bowdoin Street Boston MA 02108 (#72473497). I have a question about the property at 52 Garden Boston MA 02114 (#72486912). I would like to schedule a visit for the property at 52 Garden Boston MA 02114 (#72486912). I have a question about the property at 50 Phillips Boston MA 02114 (#72482614). I would like to schedule a visit for the property at 50 Phillips Boston MA 02114 (#72482614).